This is a perfect and easy weeknight meal! To a large skillet or wok, add olive or canola and saute the steak pieces, onion strips and garlic and stir-fry over medium high heat. Stir in the frozen broccoli and shredded carrots and cook another 5 to 8 minutes or until broccoli is tender and beef is cooked through. In a small bowl, combine the soy sauce, rice vinegar, sugar and ginger. Stir until completely mixed. Toss the soy sauce with the the steak and broccoli until well coated. Saute together for 4 to 5 minutes to allow flavors to brighten and mingle. 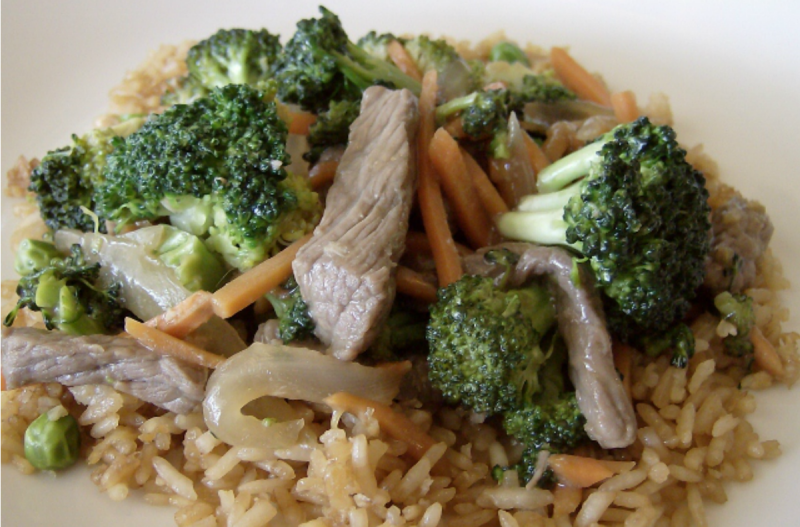 Serve Easy Beef & Broccoli Stirfry over rice. Whisk together 4 Tbsp soy sauce, 2 Tbsp rice vinegar, 2 crushed garlic cloves, 2 tsp sugar and 1 tsp ground ginger. Put baggie in the freezer and freeze up to 6 months in fridge freezer or 12 months in a deep freezer. Thaw in the fridge overnight, or a warm bowl of water for about 20 minutes. Add the contents of the freezer baggie to the skillet or wok. Bring sauce to bubbling over medium high heat and then reduce to low and simmer for 20 minutes or until beef is cooked through. Serve over rice. 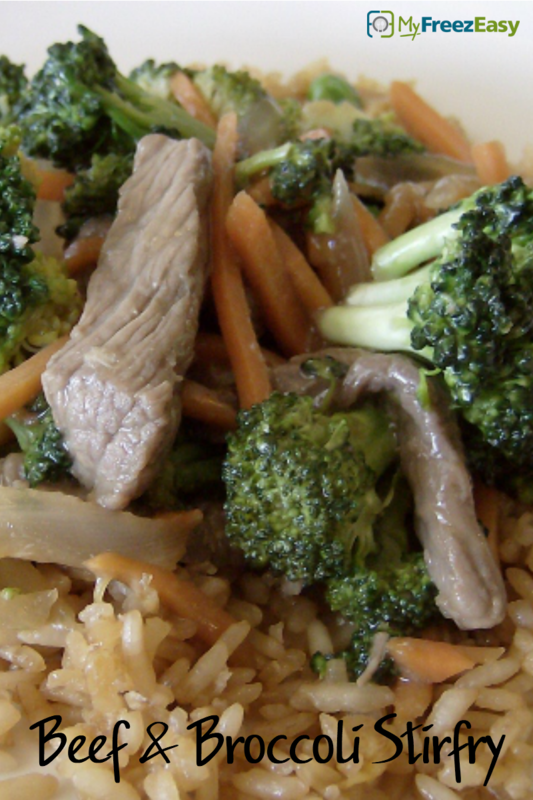 Use gluten-free soy sauce for gluten-free meal. Add contents of baggie to the skillet. Bring to bubbling over medium high heat, then reduce to low and simmer for 20 minutes or until beef is cooked.